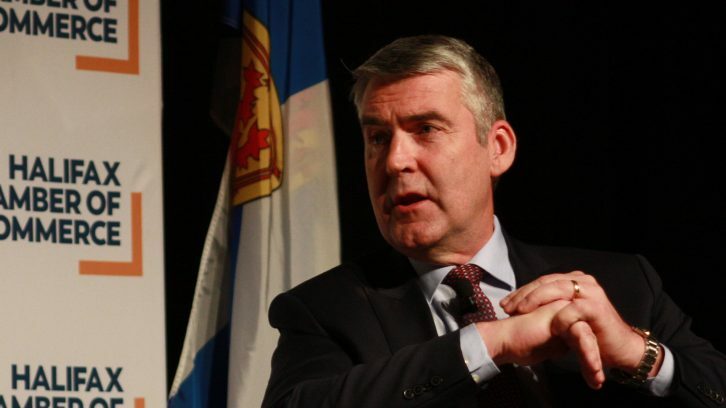 Nova Scotians may be tops in cannabis consumption, but legal sales aren’t generating extra funds for provincial accounts, Premier Stephen McNeil said Wednesday. McNeil said his government will invest cannabis proceeds in impairment detection training and technology. Right now impairment testing isn’t very accurate because THC doesn’t have the same consistent, predictable effects as alcohol on the human body. McNeil also hinted the government may eventually relax regulations for private sales. McNeil’s address was hosted by the Halifax Chamber of Commerce at the Halifax Convention Centre. The moderator asked if the private sector will be part of the edibles market, with legalization of edibles later this year. McNeil said Nova Scotia decided to begin with a tight distribution model to maintain control of cannabis. He said places with more liberal rules are now struggling to regain control of the cannabis industry. It’s the model the government is likely to use for edibles. McNeil said his government will “reassess” regulations as edibles enter the market. He also said cannabis should generate revenue for other parts of government in the future. Nova Scotia is near the top of the charts when it comes to cannabis consumption. According to Statistics Canada, Nova Scotians consumed the most pot per capita in 2018: 27 grams per person. The province also came in second place, behind Prince Edward Island, for the most money spent on pot in the first six weeks of legalization, according to Statistics Canada: $11.34 per capita. Exactly what is the logic behind “tight distribution model to maintain control of cannabis” being a good thing? This model goes hand in hand with why profits are so low. Instead of focusing on creating a well regulated private-public blend sector, with rules to keep things safe, they chose to go with a method not grounded in reality. People want the ability to choose the source of their product, especially something being consumed and inhaled- it was just assumed that people will be fine with only big LP sources. From recalls, improper plant foods, mold, mildew, unripe product to the reported strange taste and smell of their products (etc), there is no more public trust in these sources. They need to start revoking licenses and being more transparent if they want to start regaining public support.